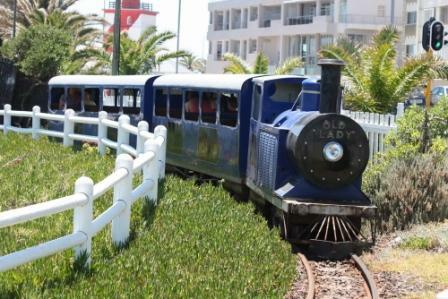 The Miniature Blue Train can be found next to the sea on Beach Road, Mouille Point. 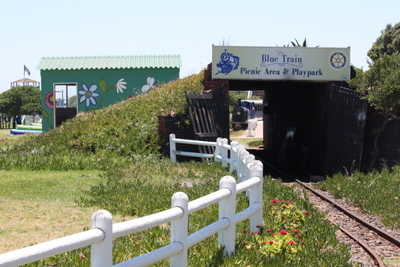 The diesel operated train runs through a tunnel and under a bridge along a track of approximately 1 km. During the ride you have views of the ocean and passing boats as well as Robben Island. 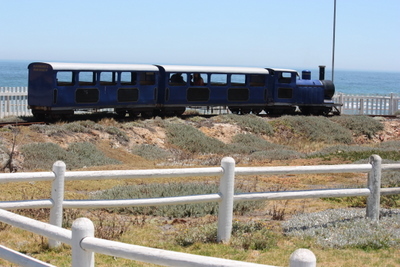 Parents can join their children in one of the two carriages or they can see them off on the "station". In the centre of the track is a grassy area with a jungle gym, where you can picnic and the children can play. This area is reached by using the bridge over the tracks. 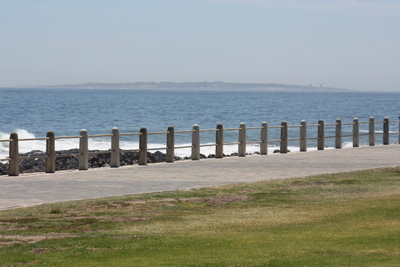 A walk along the promenade afterwards, whilst enjoying an ice-cream, is always a hit with the children. You can even feed the seagulls!! Daily from 09:00 to sunset, weather permitting. 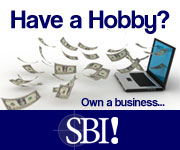 Return from Miniature Blue Train page to Homepage.